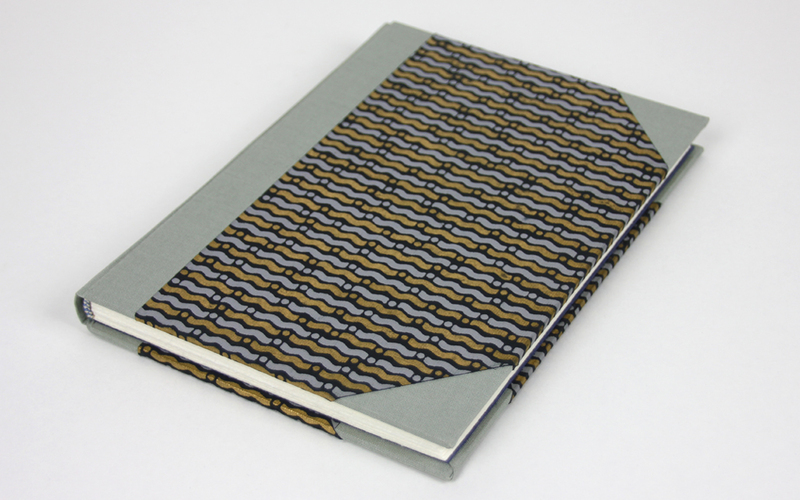 Come and learn how to bind your own unique book! Workshops are offered regularly in my studio space in Vienna's 9th district. Language of instruction is either English or German, according to demand (unless otherwise specified). No previous experience or special equipment is necessary. Places are limited to 6 per workshop (and minimally 3). If you would like to register for one of the upcoming workshops listed below, please submit a registration form. Thanks! Please click on the workshop titles below for full details, prices and dates. 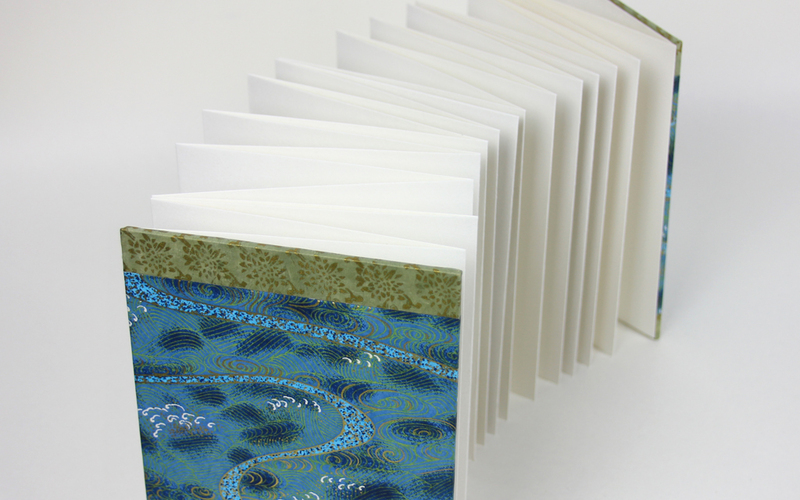 In this two-day workshop participants will learn how to bind a beautiful hardcover notebook bound in decorative paper or bookbinding linen, or a combination of both. We will also finish the books by hand-stitching the headband, a fascinating and very old skill. Im Zuge dieses zweitägigen Workshops werden TeilnehmerInnen ihr eigenes Notizbuch gestalten und mit wunderschönem dekorativen Papier oder Leinen, oder einer Kombination aus beidem, einbinden. Wir werden auch das Kapital nähen, eine faszinierende und sehr alte Handfertigkeit. For children and young people aged between 8 and 15 years, accompanied by an adult. 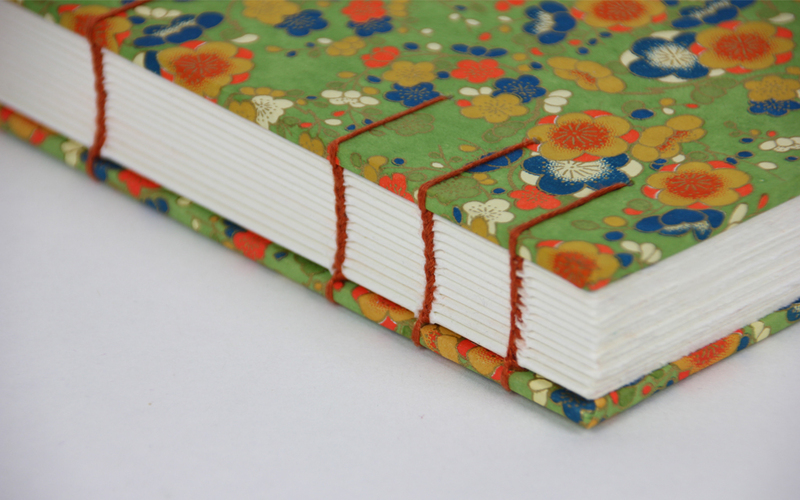 This will be a fun introduction to bookbinding and a chance to try out a number of different, simple binding techniques - and of course take your finished books home with you! The language of the workshop will be either English or German (or a combination of both) according to demand. Places are limited! Für Kinder und Jugendliche im Alter von 8 bis 15 Jahren, in Begleitung eines Erwachsenen. Dieser Workshop bietet die Gelegenheit, einige einfache Bindetechniken auszuprobieren, und natürlich auch anschließend die fertigen Bücher mit nach Hause zu nehmen. Die Unterrichtssprache wird entweder Deutsch oder Englisch sein, je nach Nachfrage. Plätze sind begrenzt! In coptic binding the spine of the book remains uncovered, revealing the beautiful coptic stitch as a decorative element. Bei der koptischen Bindung bleibt der Buchrücken offen. Die handgenähte Heftung, die dadurch sichtbar wird, ist sehr dekorativ. Leporello books, which have a concertina-like structure, are fun and simple to make (no stitching involved) - and can be as long as you wish! 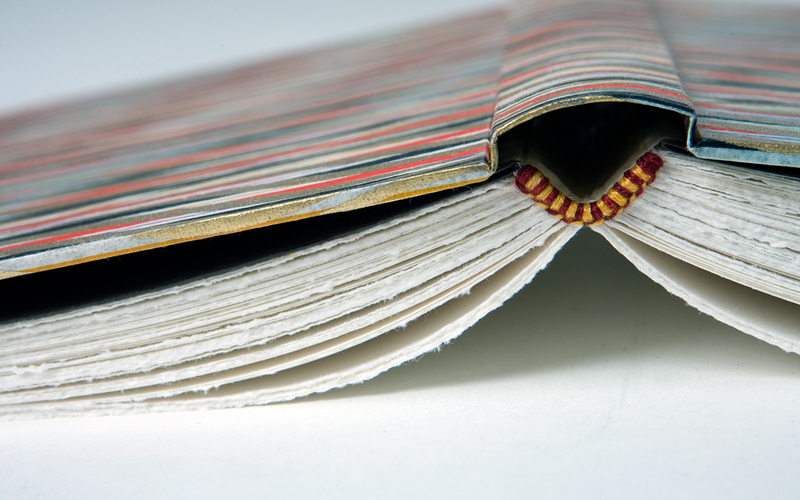 We will make attractive cover boards bound in decorative paper at either end. Leporellobücher, die ziehharmonikaförmig aufgebaut sind, sind einfach herzustellen, müssen nicht genäht werden und können beliebig lang sein. Dazu werden wir einen schönen Einband gestalten. 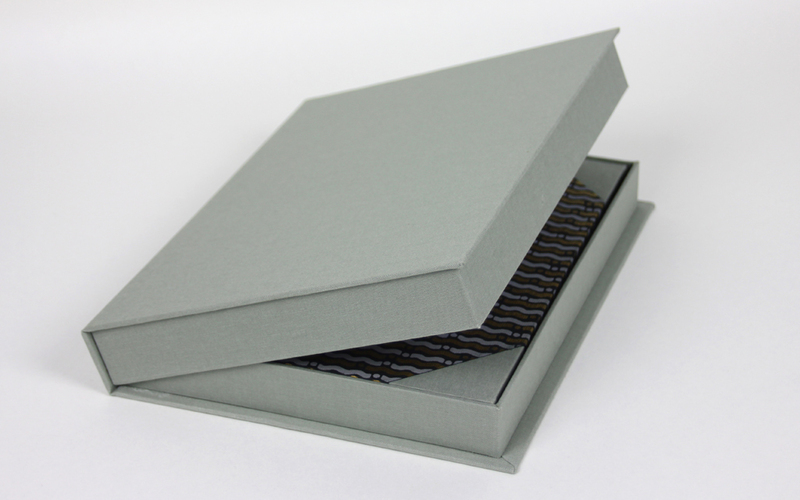 As an ideal follow-up to my other workshops, this workshop offers you the opportunity to make a perfectly proportioned clamshell box to encase the book you made in that earlier workshop, using matching bookbinding linen and/or decorative paper. Alternatively, you can bring along a book for which you wish to make a protective box. Als perfekte Ergänzung zu einem der anderen Workshops, bietet dieser Workshop die Möglichkeit, eine genau proportionierte Schachtel (“clamshell box”) zu einem selbstgemachten Buch herzustellen. Alternativerweise kann man zum Workshop ein beliebiges Buch mitbringen, für das man eine solche Schachtel anfertigen möchte. What is your preferred language of instruction? / In welcher Sprache soll am liebsten unterrichtet werden?